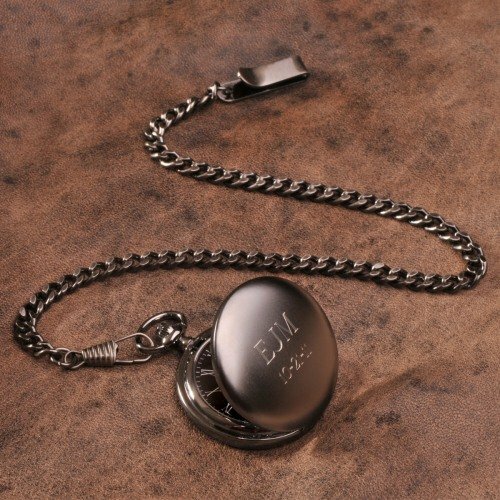 Both classic and modern, this personalized gunmetal pocket watch is practical and stylish. This pocket watch features a black face with roman numerals, a gunmetal gray finish, and a sturdy chain and clip. Just add his personalization! Wood gift box included for easy gifting.